Latvia is a Northern Europe country on the Baltic Sea. The bulk of Latvia’s economic activity remains in the services sector. 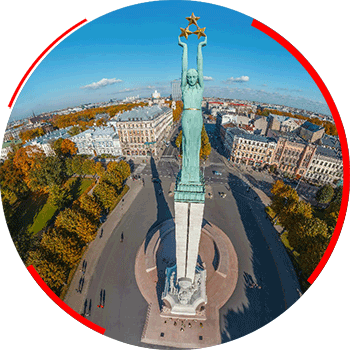 Latvia is a member of the United Nations, European Union, NATO and other international institutions. It is also part of the Schengen zone, which allows for free and unrestricted movement within 26 European countries.